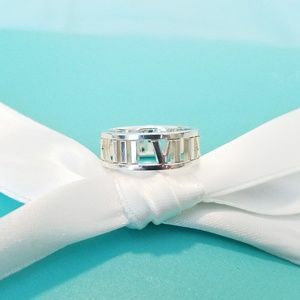 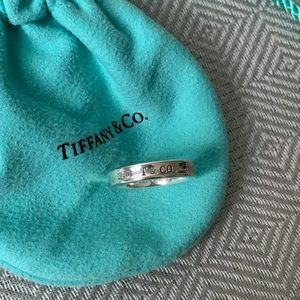 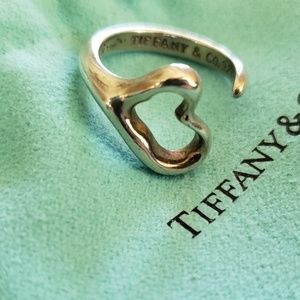 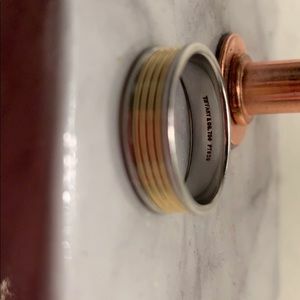 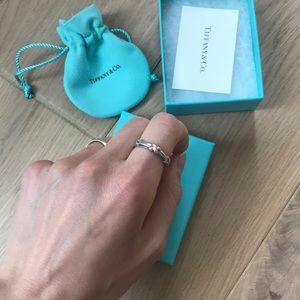 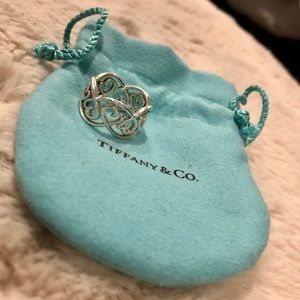 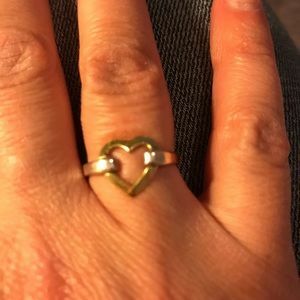 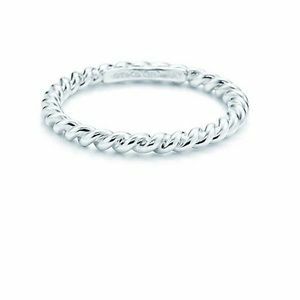 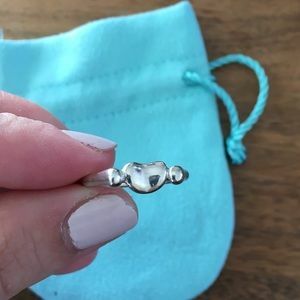 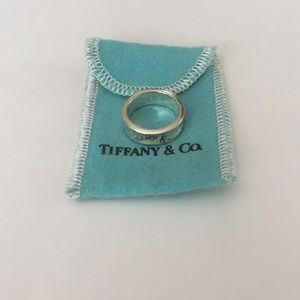 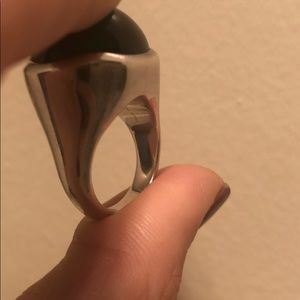 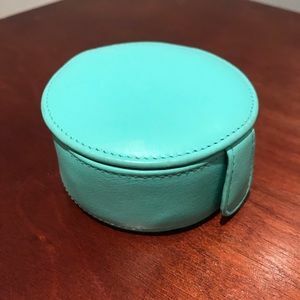 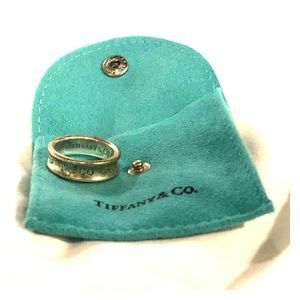 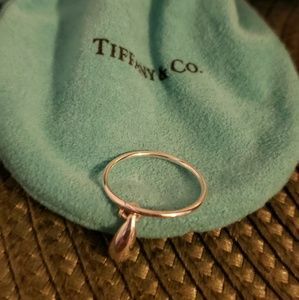 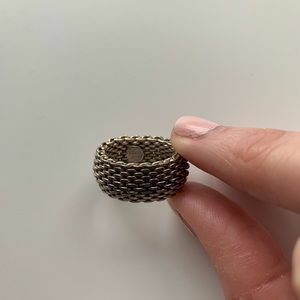 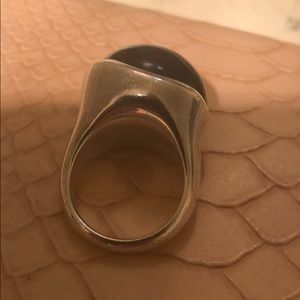 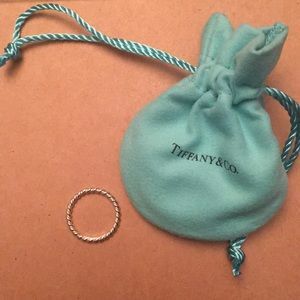 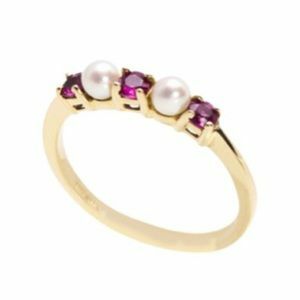 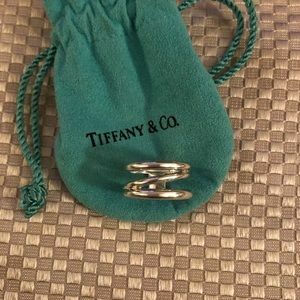 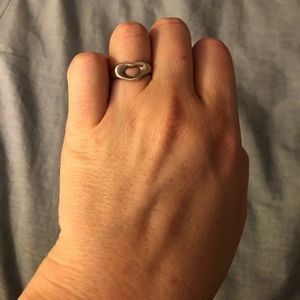 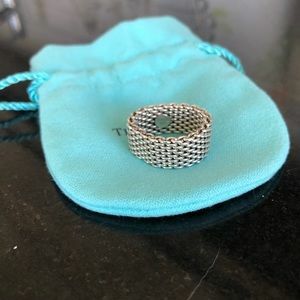 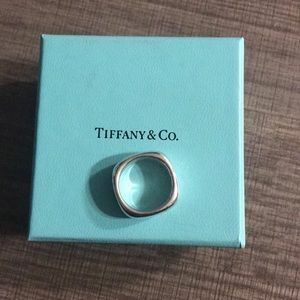 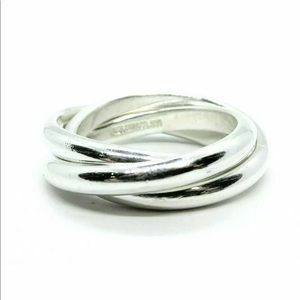 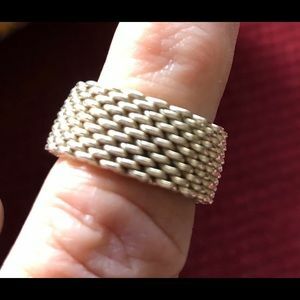 Tiffany and Co concave ring 7.5 in size. 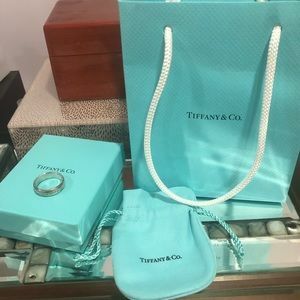 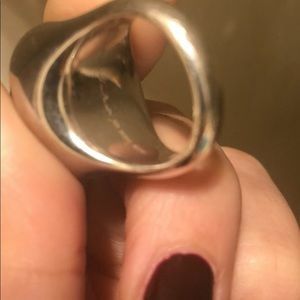 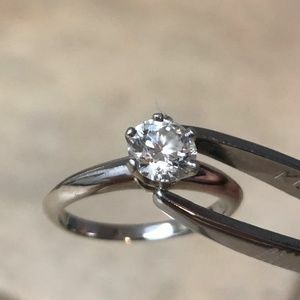 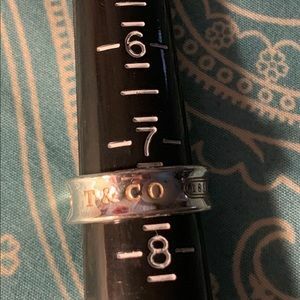 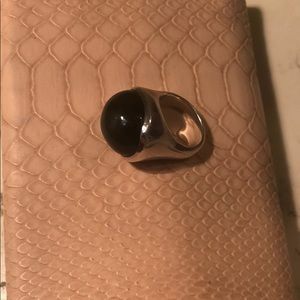 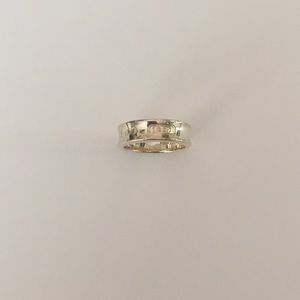 Purchased at tiffany & co. 100% authentic Tiffany & co Hong Kong signed Stamped sterling and designer Stone is in perfect condition Light scratches on silver ( please see photos ) A smooth, tactile cabochon in a fluid setting that is signature Peretti. 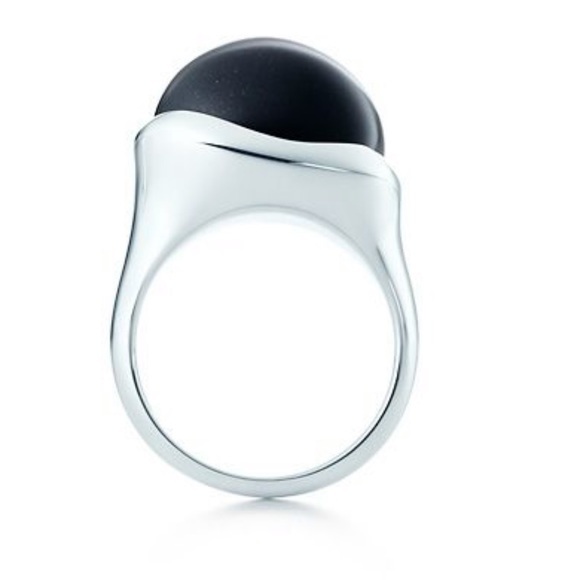 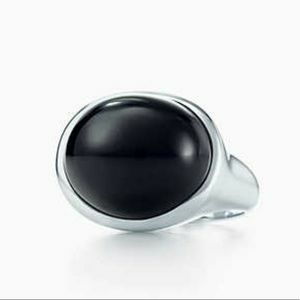 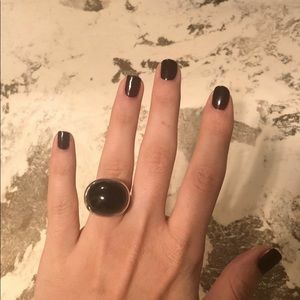 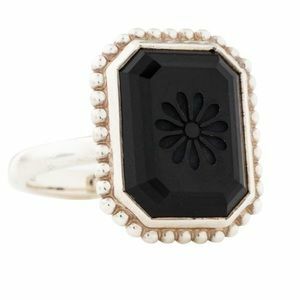 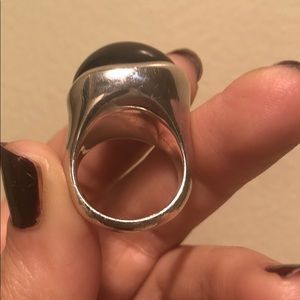 Ring in sterling silver with black jade, 19 mm wide. 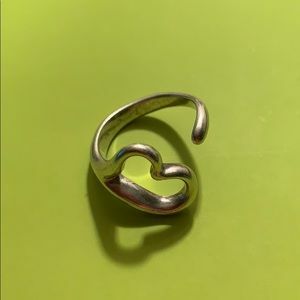 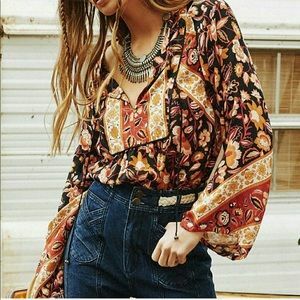 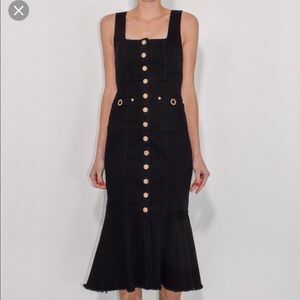 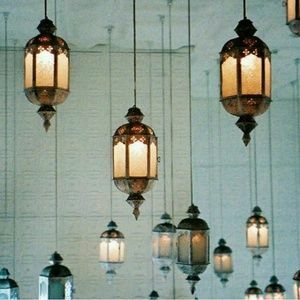 Original designs copyrighted by Elsa Peretti.